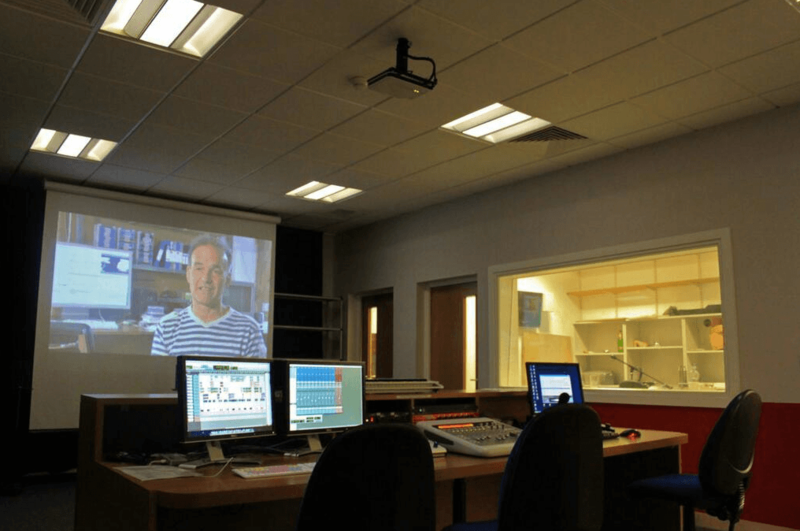 The brand new Dubbing Theatre comprises a large Control room with projected High Definition pictures and 5.1 sound system, a Foley room (Sound Effects and footsteps), a Commentary/ADR room and a computer room. 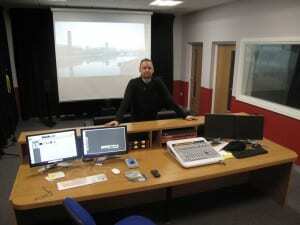 We are running Pro Tools with the Digidesign 003 control surface, with pictures front projected onto a suspended screen. The work started in September 2010 and we have tried hard to make it as professional, creative and practical as possible. 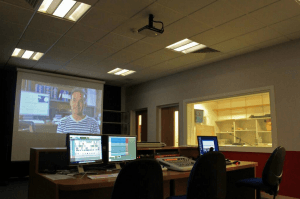 This dubbing theatre provides for the first time full sound mixing to picture to broadcast standards, and is a real statement of the ambitions of the Lincoln School of Media and University of Lincoln. Hi, Are you available for hire to do a VO to video playback please? Yes we are, contact chainstock@lincoln.ac.uk – what are your requirements? – if you are connected with the University its likely there would be no charge.